Depending on how you look at it, it’s either the end of the work week or the beginning of the weekend. Either way, it’s an excellent opportunity to try something new and shake up your routine. A couple of years ago, a website called thisiswhyou’refat.com was created to showcase extreme culinary creations such as the “30,000 calorie sandwich.” The inevitable backlash included sites that used “This is why you’re thin” to advocate for dishes heavy on the vegetables and light on sugar or processed ingredients. I don’t think fat or thin are as important as fit or unfit. I’m much more interested in how I can train myself to spar longer rounds without getting tired, learn a new technique, run greater distances, or simply introduce healthy changes into my life. Like many people, I have a desk job. This entails lots of sitting and barely any motion, except for my eyeballs and mouse hand. Although I’m active in the evenings and on weekends, I’ve started coming up with ways to keep myself moving throughout the day. 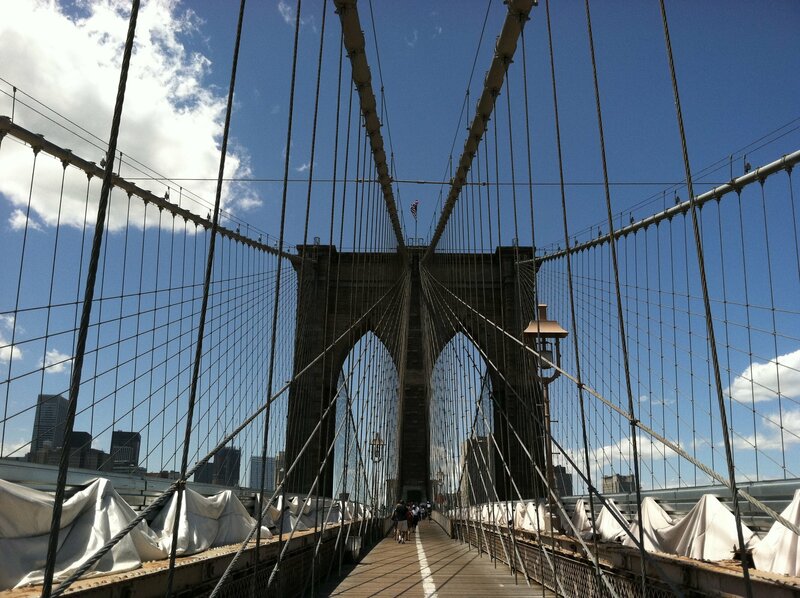 I’m lucky enough to work within walking distance of the Brooklyn Bridge, and that’s this week’s This is Why You’re Fit: every day, weather allowing, I walk across the bridge and back on my lunch break. I’ve invested in sun block and a spare pair of sunglasses to keep in my desk drawer, and it’s worth it to get outside and enjoy the air and the view. I come back to work feeling refreshed and ready to tackle all the projects I left behind. Show me why you’re fit!